Beer, sausage and schnitzel will be available German-style when Oktoberfest comes to Tamworth as part of this year's beer festival. Although called Oktoberfest, the event will actually take place between Thursday 3 September and Saturday 5 September in conjunction with the annual Tamworth Beer Festival. 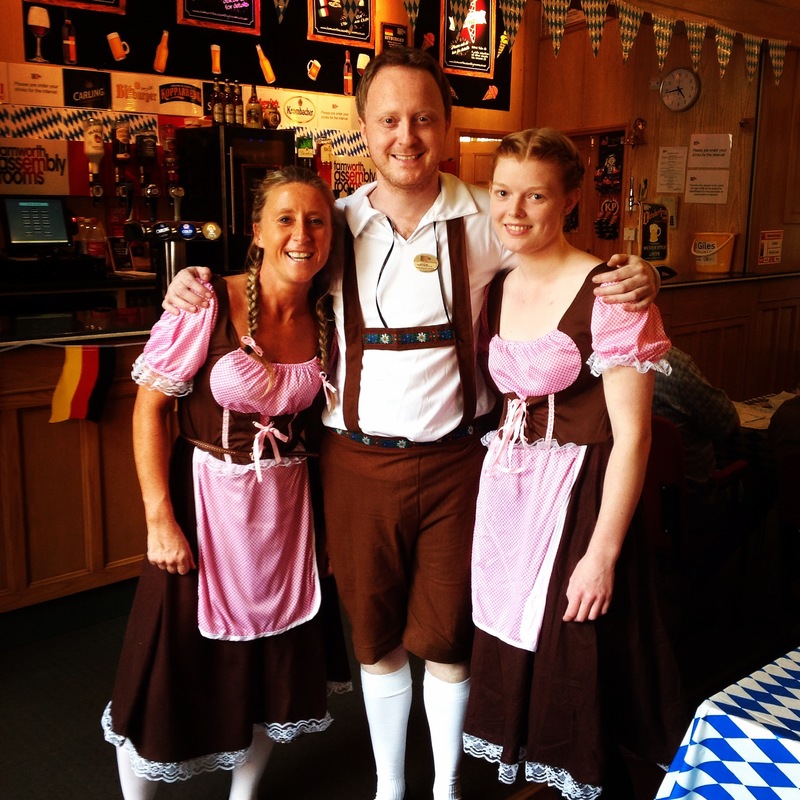 Oktoberfest is back after a successful first year in 2014 and will again celebrate the German 'bier keller'; serving the best in German food alongside some of the nation's most popular brews. The event, which takes place at Tamworth Assembly Rooms, has been organised by Tamworth Borough Council's Arts and Events team. Oktoberfest was introduced for the first time last year to welcome visitors from BadLaasphe – Tamworth's twin town in Germany. The event, held in the bar at Tamworth Assembly Rooms, was regarded as a major success with more than 150 bratwursts and 100 schnitzels served to the hungry hordes attending the beer festival. Oktoberfest will invite people to sample a range of German delights including bratwurst, schnitzel, pretzels and cheese platters. And these can be washed down with a range of beers, from Krombacher to Warsteiner – or any of the 90-plus real ales being served in the festival main hall. The annual Tamworth Beer Festival, which is now in its 22nd year, offers a huge variety of cooled cask ales, as well as ciders, perries and continental bottled beers. It is open from 11am until 11pm each day. Admission is £3, apart from Friday evening between 5pm and 11pm when the cost of entrance is £4. Visitors can enjoy the German atmosphere of the Oktoberfest free of charge once they have paid their entry into the beer festival. Entrance to the beer festival is free for CAMRA members. For more information, including tickets, please visit www.tamworthassemblyrooms.co.uk, call in person at the Tamworth Tourist Information Centre in Corporation Street, or phone the Box Office on 01827 709618 . A transaction fee of £1 is payable on all online and telephone bookings. Cost: Admission is £3, apart from Friday evening between 5pm and 11pm when the cost is £4.